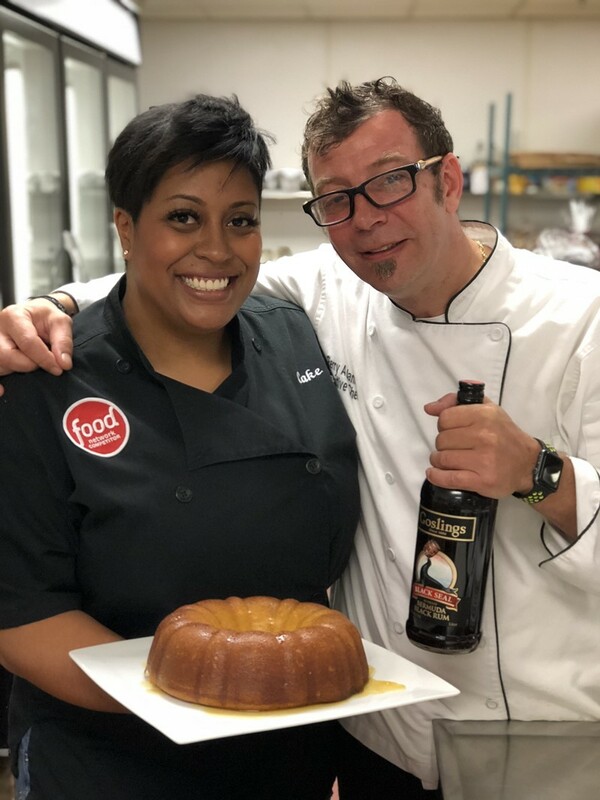 The Food Network’s Your Cake Diva Porsha Kimble, in Bermuda for the City Food Festival, is a guest of Rosewood Bermuda this weekend and yesterday she worked with their food and beverage team to create a Rosewood Bermuda Rum Cake. Porsha’s recipe, especially made for this occasion, included Goslings Black Seal rum. 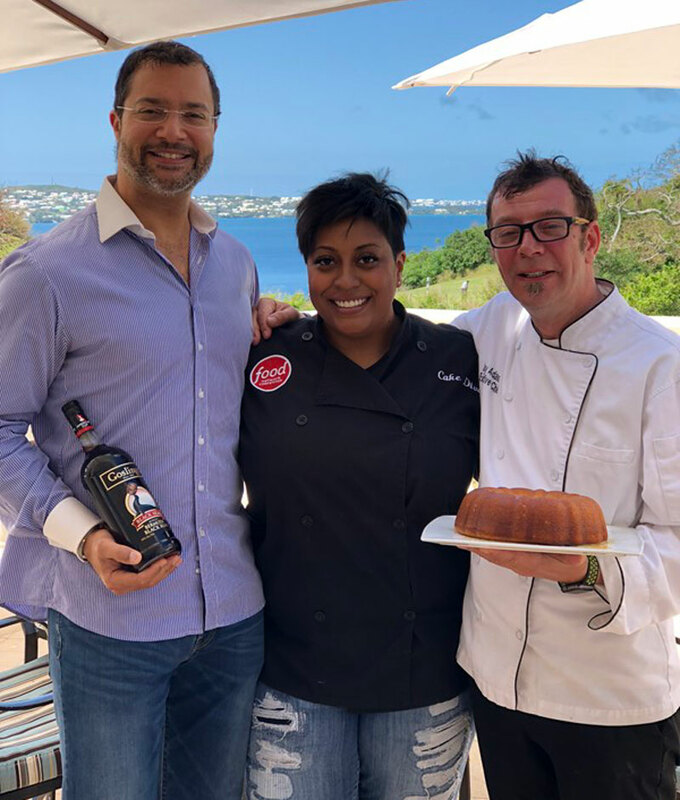 She presented the cake to Rosewood Bermuda Executive Chef Gerry Adams and Managing Director Paul Telford to mark the property’s recent soft reopening, part of a $25 million resort renovation project. 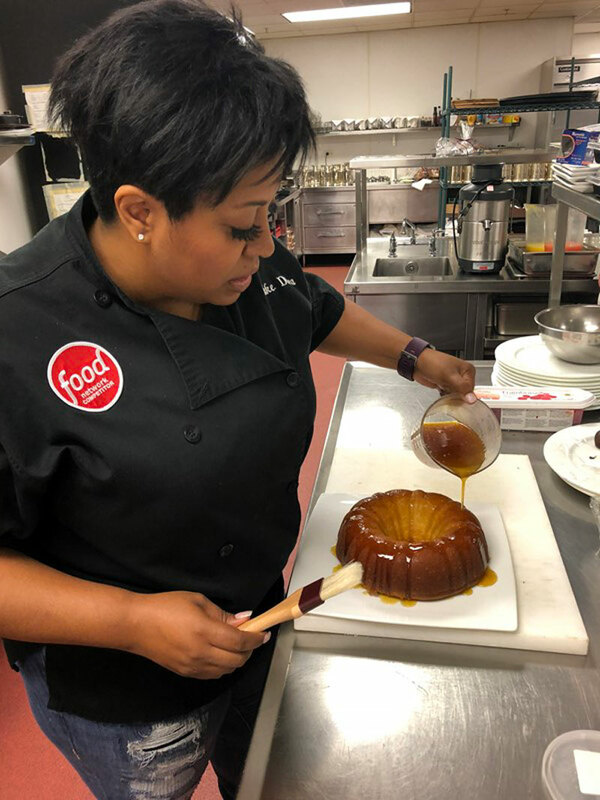 This afternoon at 3pm, Your Cake Diva, a cakemaker to the stars, will share her skills and stories with the public in the Just Desserts event of the City Food Festival. I love making rum cakes. We should get together. I love eating them!